The Phizzing Tub...: Not much longer…. We did not plant much of anything this year, normally we have a nice size garden but with the lack of rain this year and last, it is just not a very wise idea. 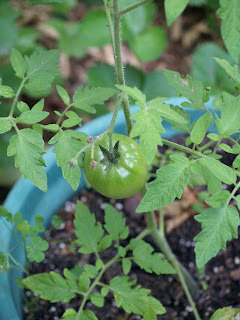 There are two other flowers so with some luck we will have two smaller tomatoes starting shortly. I must ponder this thought a bit longer.